Earthquakes and hurricanes on the U.S.’s east coast this week remind us that disaster can strike at any time – and in places where you least expect it. Everything that you own today could be wiped out tomorrow. 1. 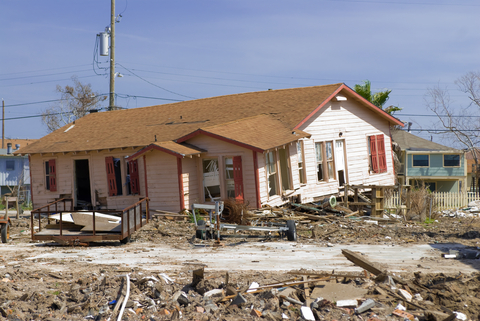 Check Your Home Owners Insurance – Make sure your home insurance coverage is adequate. Check the value of your home and itemize your contents every year or so to make sure everything will be covered. 2. Gather Your Important Documents – Keep copies of your insurance policies, passports, birth certificates, house deed, credit card numbers, bank account info, etc. in a safe deposit box. I’d add that you should keep another set of copies, or the originals, in an in-home safe, so you can access them whenever you need them. You can get a basic fireproof, waterproof safe in the $30-$40 range from Amazon. And I’d recommend that you keep $250-$500 in cash in your safe, too. Because you may find yourself in a situation where you cannot access your money in the bank or ATM for a few days due to storm damage or power outage. A little bit of preparation now will definitely save a lot of emotional and financial turmoil and frustration when disaster strikes.